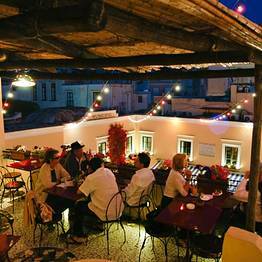 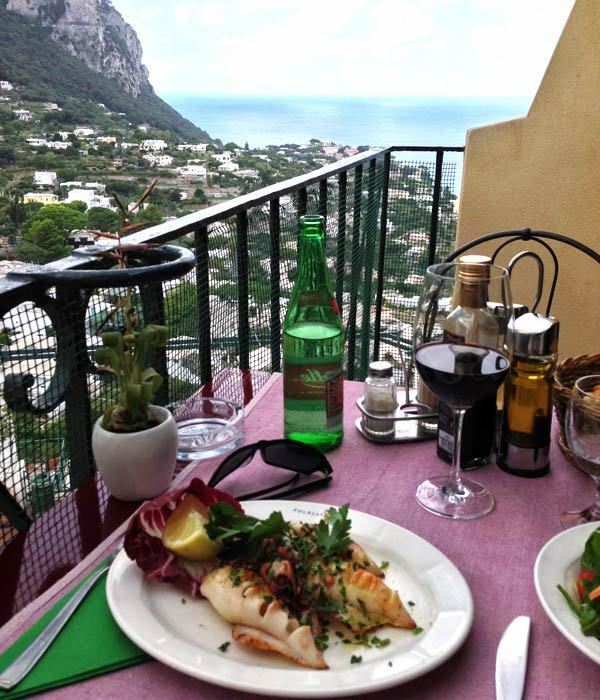 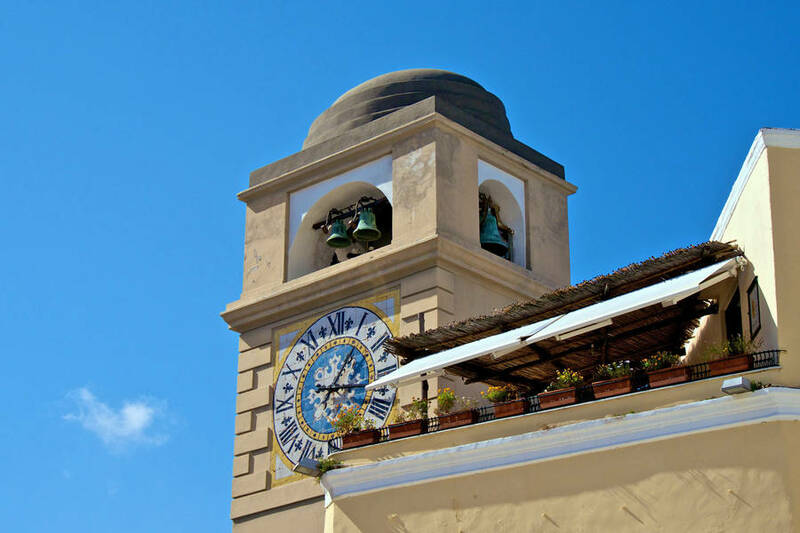 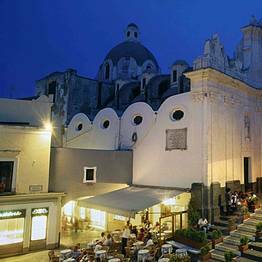 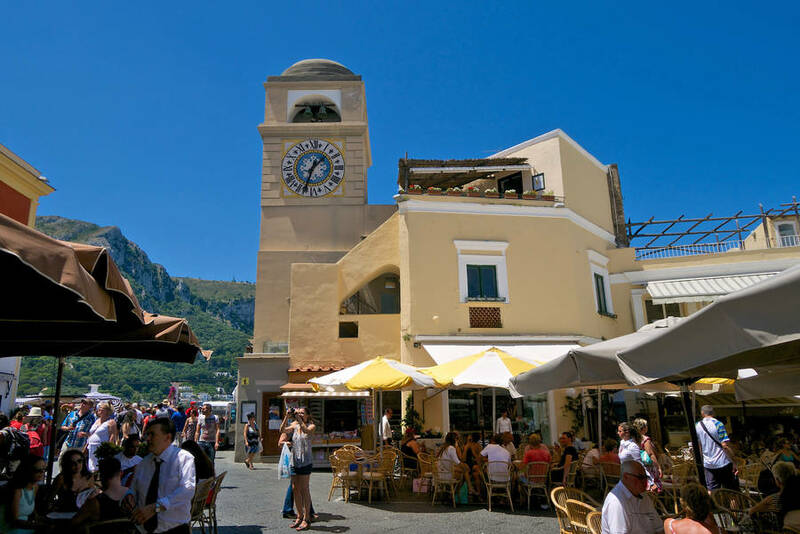 Occupying a fantastic position in the Piazzetta, right next to the clock tower, Capri's Pulalli wine bar offers a bird's eye view of the famous square and the town's Cathedral. 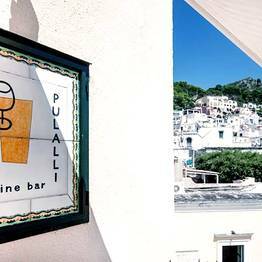 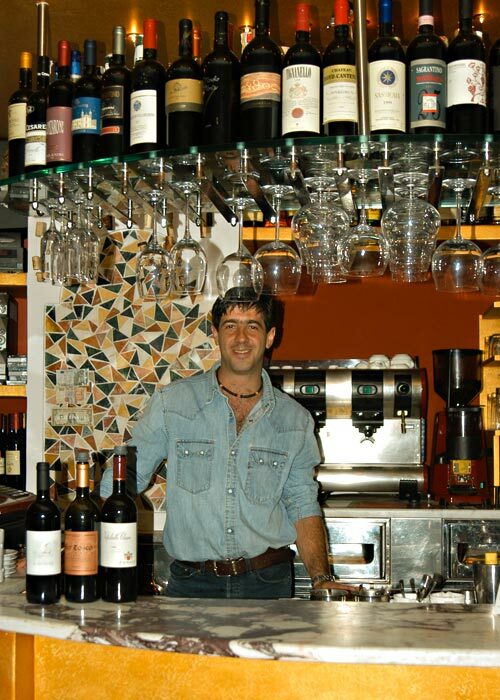 Today, Fabrizio Arbace's bar offers visitors the opportunity to taste any of a fabulous selection of Italian labels accompanied by delicious appetizers and more substantial dishes from the Neapolitan tradition. 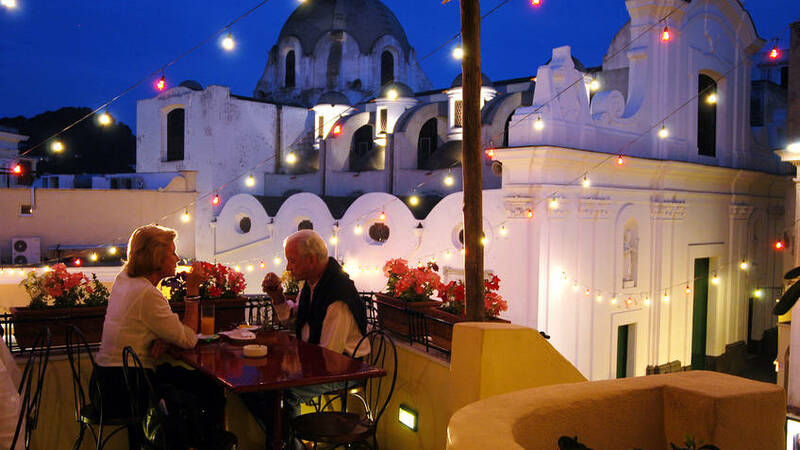 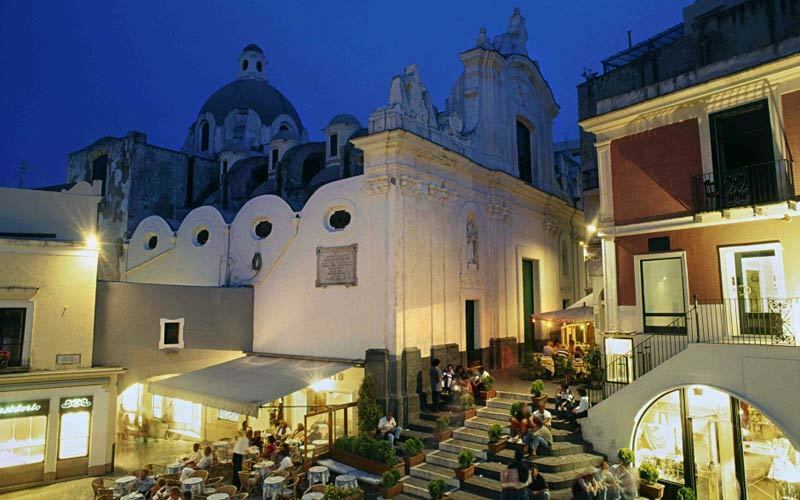 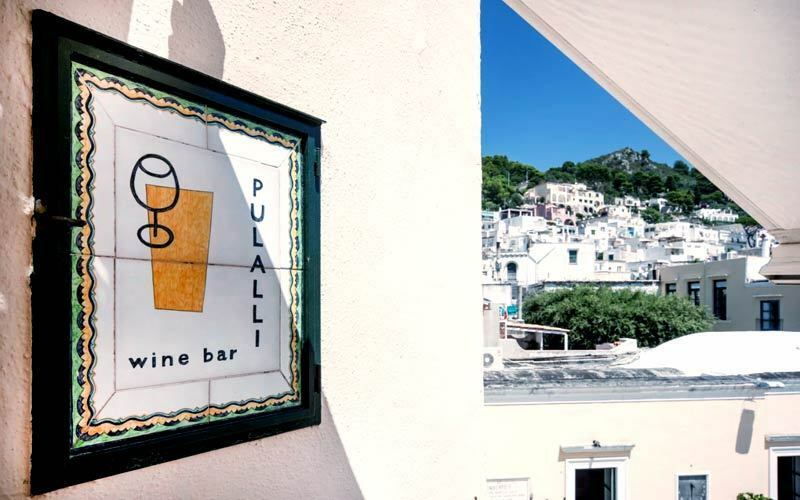 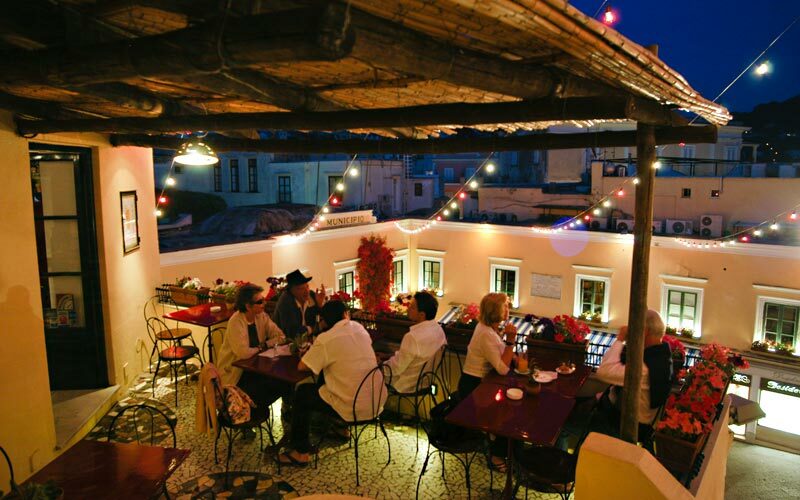 In addition to the terrace perched above the buzzing square, the Pulalli wine bar also has an intimate indoor dining room with splendid views of Monte Solaro and the Bay of Naples. 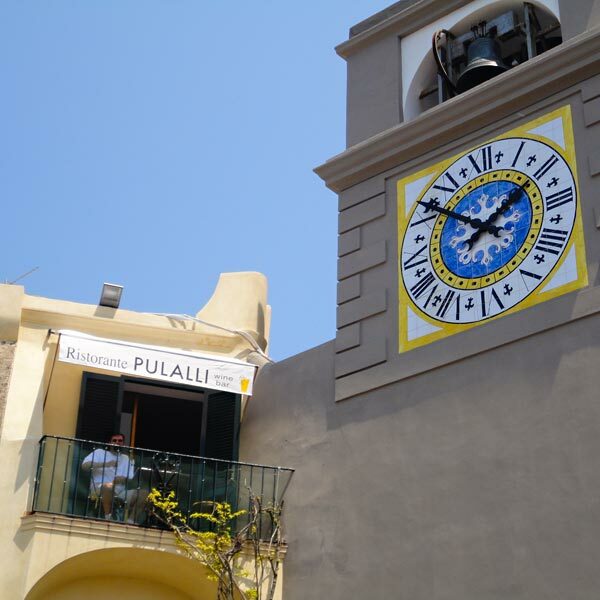 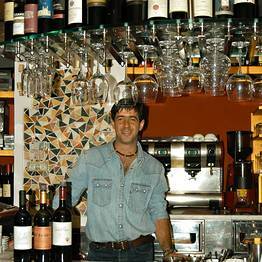 Pulalli Wine bar is open for lunch and dinner until late. 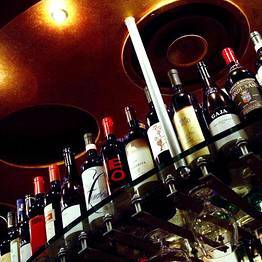 Closed on Tuesday. 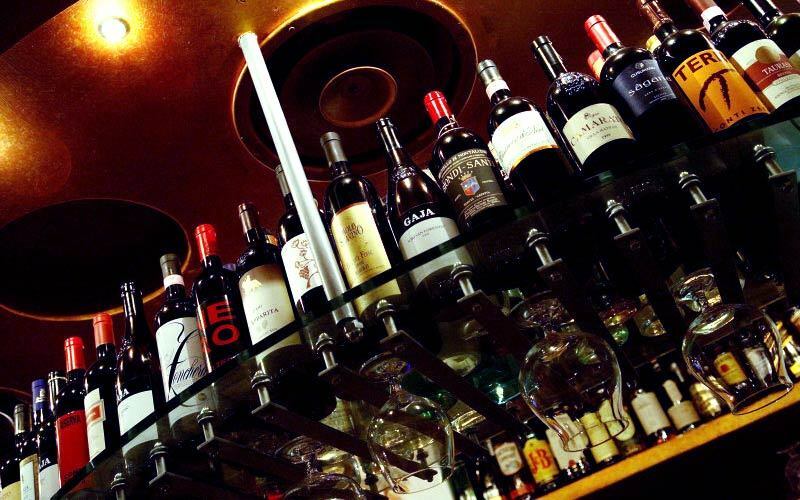 On request, the wine bar also caters for private parties. 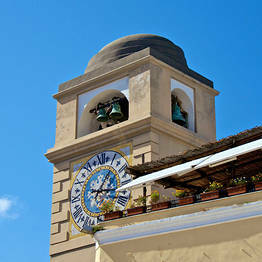 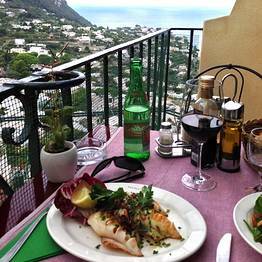 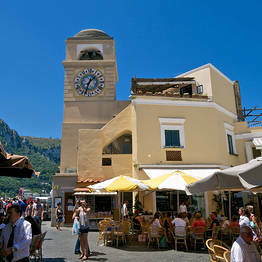 Near the clocktower in Capri's most famous square.